Number three loves jewellery and if she can create it herself that’s even better. When the Gel – A – Peel package arrived she excitedly planned who she was going to give her creations to. We were really taken with the simple, cool packaging that really appealed to my pre-teen. Patience is something she’s not gifted with so luckily the instructions were easy to read and very clear so she could get started straight away. First up were some bracelets which looked liked the simplest thing to start with. She placed the clear plastic sheet on top of the templates provided and then chose from the three colours and different nozzle shapes to create the design for her bracelet. The gel needed to be applied in sections so that it can dry slightly before the next colour is added. It took longer than expected to dry but when it did the bracelets were very pretty and she was extremely proud of her creations. 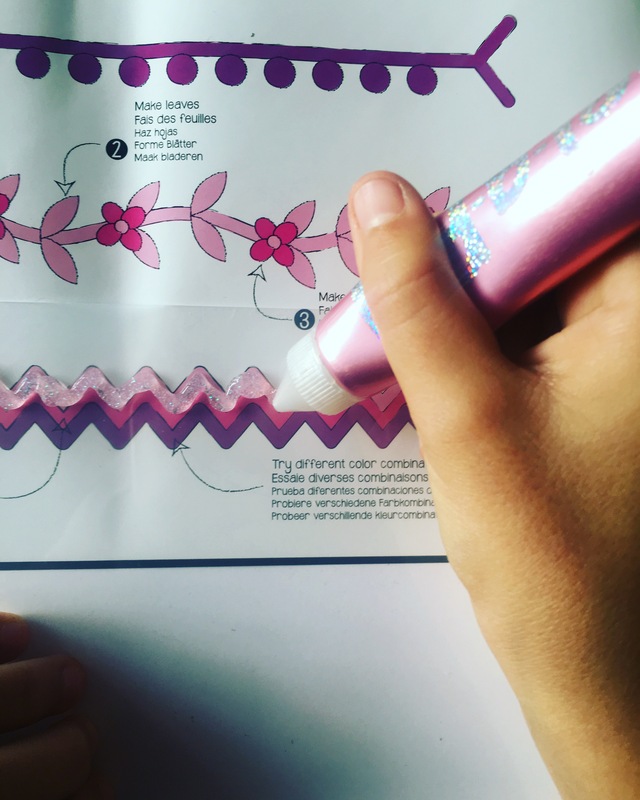 Once her confidence grows she is going to try to create her own designs and give the hair clips and earnings a try that are also provided in the pack. For me this is a great gift for anyone that loves a relatively simple craft with great results. You can stick to the ideas that are given or really let your imagination run wild and create something more individual. I think I know what we will all be getting for Christmas this year! * I was given this set for the purpose of this review and they are all my own, honest opinions.